Negative publicity on the internet can cost your business in both revenue and customers. With blogs and social media sites, it’s easier than ever for people to post negative, false or scandalous claims about businesses publicly. By simply posting damaging comments on review sites, blogs and social media sites, people can tarnish your business’ public image and reputation. 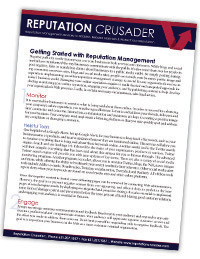 Online reputation management is crucial for any organization’s success in today’s business world. Managing your online reputation requires a multi-faceted and integrated approach. Vince Lombardi once said, “The best defense is a good offense.” That is our philosophy. 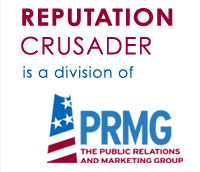 The Public Relations and Marketing Group provides customized and integrated services to help maintain or restore your online reputation. We take an aggressive stand on reputation management and will work with you to further build a positive image for your organization through monitoring your online reputation, engaging your audience, and by publishing content to help develop your organization’s Web presence. Lastly, in certain necessary circumstances, take legal action.